The Walking Dead Season 2 started pretty well. Episode 1: All That Remains was a solid affair, even if it didn’t quite reach the heights of the first seasons proceedings. Now though Clementine has found herself a group of strangers to hang out with, but can they be trusted and more to the point, has Clem got her work cut out in evading the zombie masses whilst trying to convince the group that they need her as much as she needs them. 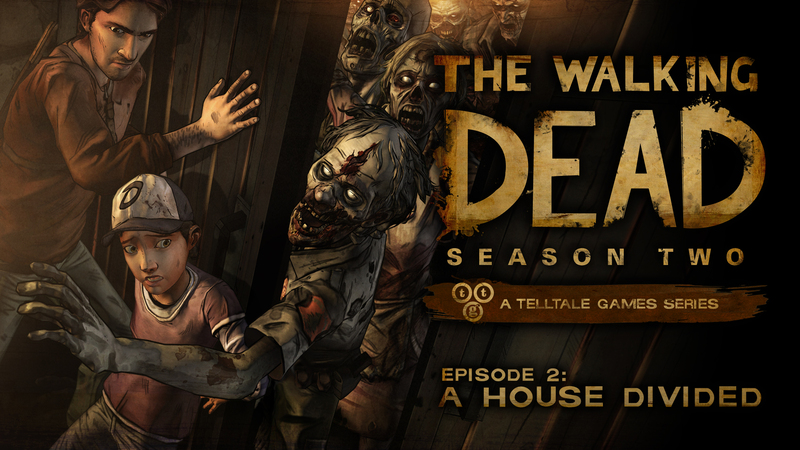 The second episode is entitled ‘A House Divided’ and that hints massively at what is to come. A house divided it is but which way will you lean as Clem gets torn between two camps, two good friends and two totally different characters. Continuing on from where you left off in Episode 1, the story reacts depending on your choices from previous chapters and indeed seasons. One thing that is constant however is the fact that Clementine has some very adult decisions to make. She is no longer the young vulnerable girl that we took care of back in 2012 and whilst this season started by slowly running through Clem’s memories, everything she does this time round hits home at just what a tough time she’s been having. Even though the episode is set over the course of a few days (as opposed to over a year first time round), we get to learn a lot more about the group we have come across but whilst I previously felt that the story was going in one direction and one direction only, this time we see our actions taking on a much stronger hold. 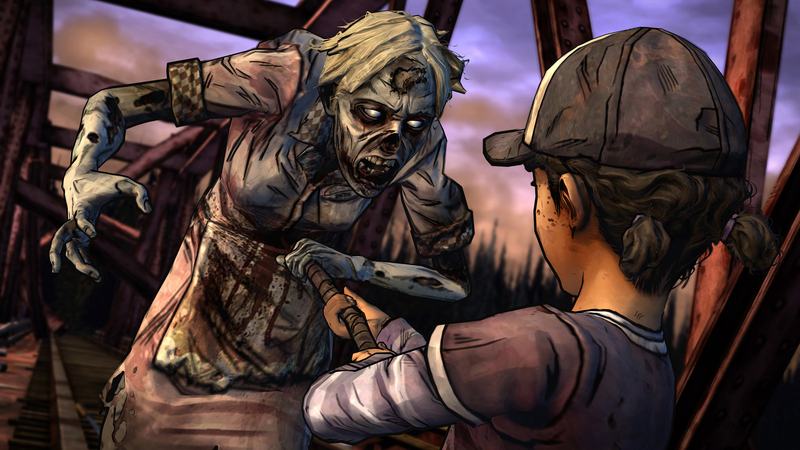 The story tellers at Telltale Games have always wanted us to debate the rights and wrongs of our actions but these have never been as direct and ‘in your face’ as they are now. With less investigation and much more ‘people time’, many of the group will literally live or die by the decisions you, as Clementine, make. As well as stumbling around with your current group, you will also find yourself coming across a few new characters and one very old friend. Without the new personalities, the story is going nowhere and each one that enters the fray joins for a reason. There are no real stragglers in A House Divided and everyone, good or bad, brings a superb dimension to the chain of events with the episodes bad guy (voiced by Michael Madsen) quickly becoming someone you don’t mess with. 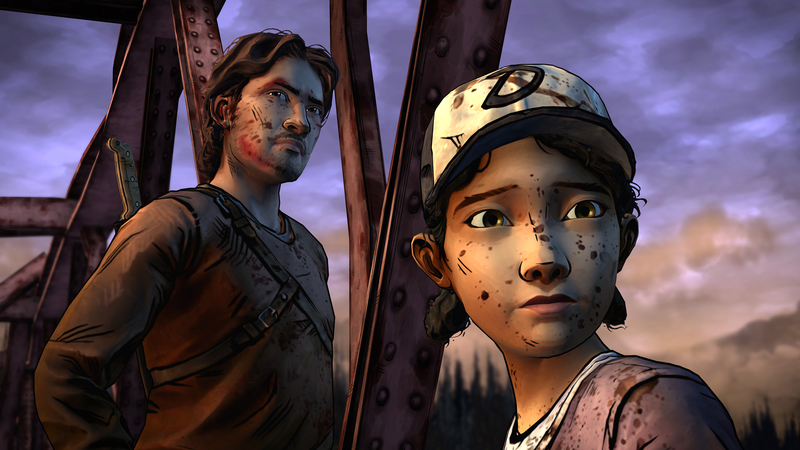 As good as the new characters are, tt’s a magical moment when Clementine comes face to face with someone she used to know so well and I loved the fact that the opening season hasn’t been long forgotten. I would have loved it even more if I could have seen the real time reactions to my season one choices but due to previous save issues, I am having to run with an autogenerated back story. It is still a heart warming moment and one that I hope will stick with me throughout the my entire experience. It’s still not perfect and the usual annoying quick time event and cut scene stutters are still present but that doesn’t stop this from being one of, if not the, most engrossing episode of The Walking Dead to date…….and yes, that does include anything found in Season 1. It’s not however for the faint hearted and A House Divided ends with seemingly no hope left for Clementine or her friends. Episode 3: In Harm’s Way should therefore be very very interesting. The Walking Dead Season 2 has just got dark. Pitch black in fact. Previous articleMassive Xbox One Battlefield 4 patch rolls out. The biggest yet! ?